A bitcoin spinoff called bitcoin cash has been suspended from one of the most popular exchanges after possible insider trading by that exchange's staff. The cryptocurrency website Coinbase said it was looking into price movements that occurred shortly after Coinbase launched bitcoin cash on its exchange. Coinbase CEO Brian Armstrong said in a message posted to his blog that it suspended trading of bitcoin cash after seeing a wild price increase on other exchanges before its launch. "If we find evidence of any employee or contractor violating our policies — directly or indirectly — I will not hesitate to terminate the employee immediately and take appropriate legal action," said Armstrong in his blog. Bitcoin cash is an alternative form of bitcoin that emerged in August. It features a change in the digital software that was designed to speed up the efficiency of transactions as the value of bitcoin ballooned. Armstrong said that all Coinbase employees and contractors were "explicitly prohibited" more than a month ago from trading in bitcoin cash and from revealing launch plans. Coinbase did allow some trades for bitcoin cash on Tuesday. But just minutes after opening, Coinbase suspended trades and eventually canceled orders. The price of bitcoin cash soared to $9,500 as trading began on the Coinbase exchange, GDAX, according to coinmarketcap.com, which tracks transactions. Coinmarketcap placed a red flag on that price and refers to it as "excluded," noting there was an "outlier detected." Coinbase does not recognize the $9,500 price on its exchange. On other exchanges, such as Kraken, bitcoin cash traded at about $3,600 on Wednesday. Coinbase is a trading site popular with digital currencies like ethereum and litecoin as well as bitcoin, the original cryptocurrency which was trading at about $17,000 on Wednesday. Coinbase tends to drive up prices for cryptocurrencies, like bitcoin, when it includes them in its exchange. The company, which is based in San Francisco, declined to comment about the price increase to CNNMoney. Attempts to contact the creators of bitcoin cash were unsuccessful. Unlike traditional currencies, cryptocurrencies are not backed by any government, prompting outgoing Federal Reserve Chairwoman Janet Yellen to call them "highly speculative. The rising value of bitcoin, which has increased about 20-fold this year, has prompted greater scrutiny by the Securities and Exchange Commission. Even more scrutiny can be expected now that bitcoin futures are trading on the Chicago Mercantile Exchange. For example, the SEC on Tuesday suspended trading of The Crypto Company, a red-hot bitcoin stock, citing "concerns regarding the accuracy and adequacy of the information." The SEC has warned investors to be on the lookout for "potential scams" regarding initial coin offerings, which are fundraisers used by cryptocurrency companies, as it recently shut a couple of them down. Hackers have also created concerns, stealing as much as $70 million from the cryptocurrency marketplace NiceHash. 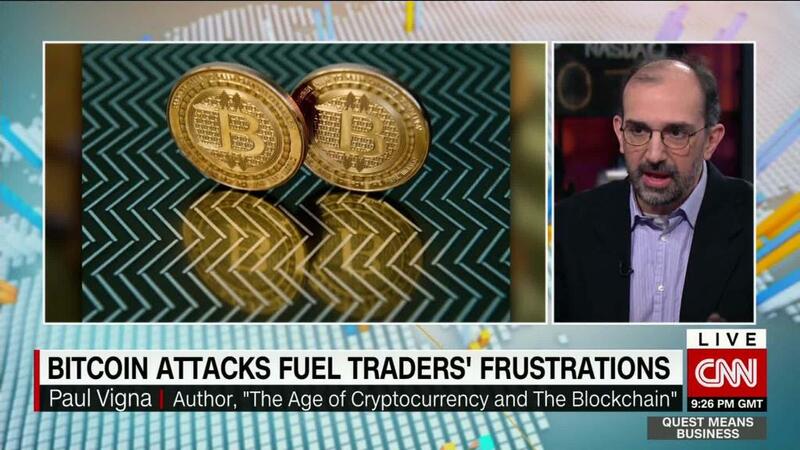 It's also a problem in South Korea, the global epicenter for cryptocurrency, where the bitcoin exchange Youbit filed for bankruptcy on Wednesday after cyber-thieves raided a fifth of its clients' holdings.